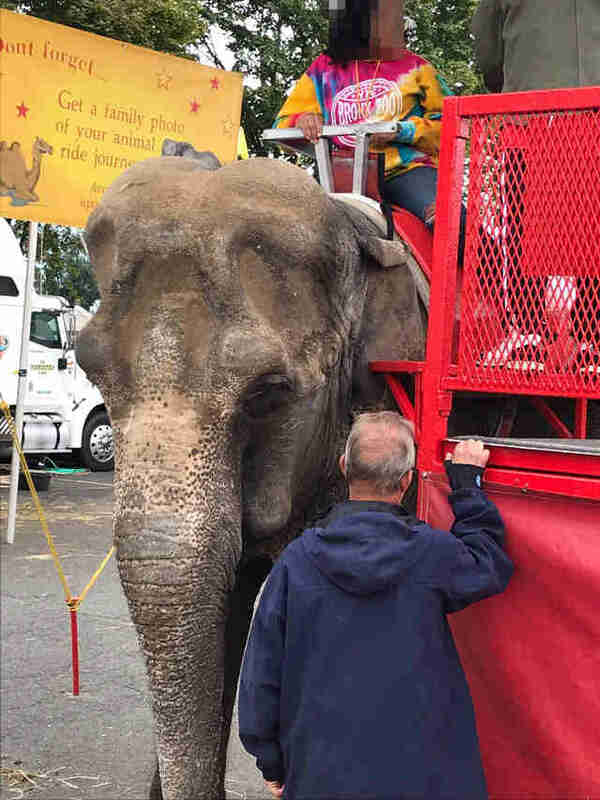 Minnie looked sick and worn-down — but instead of being able to rest, the old Asian elephant was forced to give ride after ride to people at a fair. 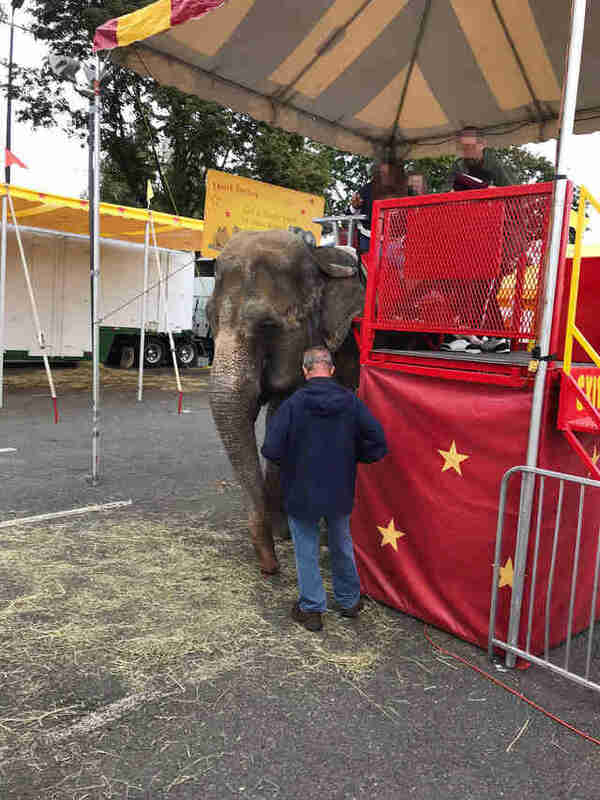 Last month, college student Nicole Collyer attended the Big E, a large fair that takes place each year in Massachusetts, and she saw Minnie working there — and felt very sorry for the elephant, who’s about 45 years old. The team at the Nonhuman Rights Project, an animal welfare organization, has been campaigning for Minnie to be legally recognized as a person and retired into a sanctuary for quite a while now. 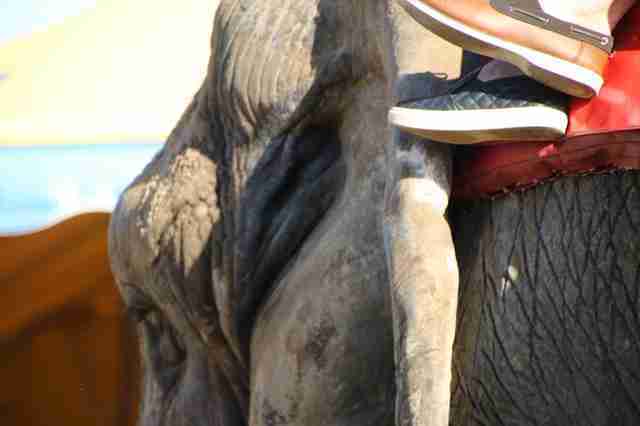 Unfortunately, things have yet to change for Minnie and the other elephants. Minnie’s life has long been filled with upheaval and sadness. She was born in the wild in Thailand in 1972, but she was imported into the U.S. when she was only 2 months old. An elephant this young should still be with her mother, so this entire experience would have been very traumatic for Minnie. Minnie spent the next four years in the care of a couple, who used Minnie in their traveling petting zoo, and also rented her out for parties, sales promotions and Republican political gatherings. Then in 1976, the couple sold Minnie to Commerford Zoo, which isn’t a zoo in the traditional sense, but a business that rents out animals for film productions, weddings, circuses and fairs. Besides Minnie, the zoo owns two other elephants, Beulah and Karen, whom the Nonhuman Rights Project are campaigning for as well. 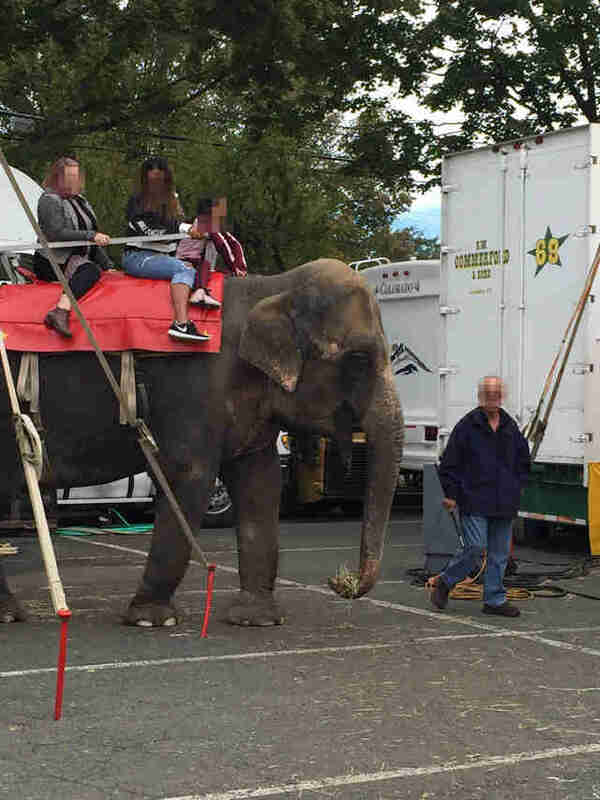 In many photos of the elephants at the Big E, handlers are seen holding bullhooks, sharp prods used to make an elephant behave in a certain way. No one knows exactly what Minnie went through when she was young. 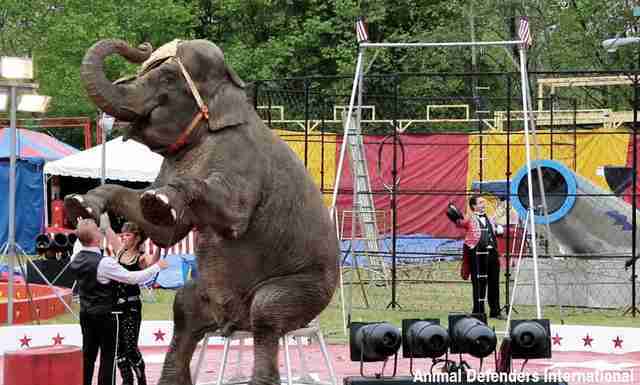 But trained elephants are often subject to horrific training processes that break their spirits so they are more likely to listen to commands. In some regions this process is called the "crush," and can include being caged, starved and beaten until they’re so terrified of being mistreated that they’ll obey any command. 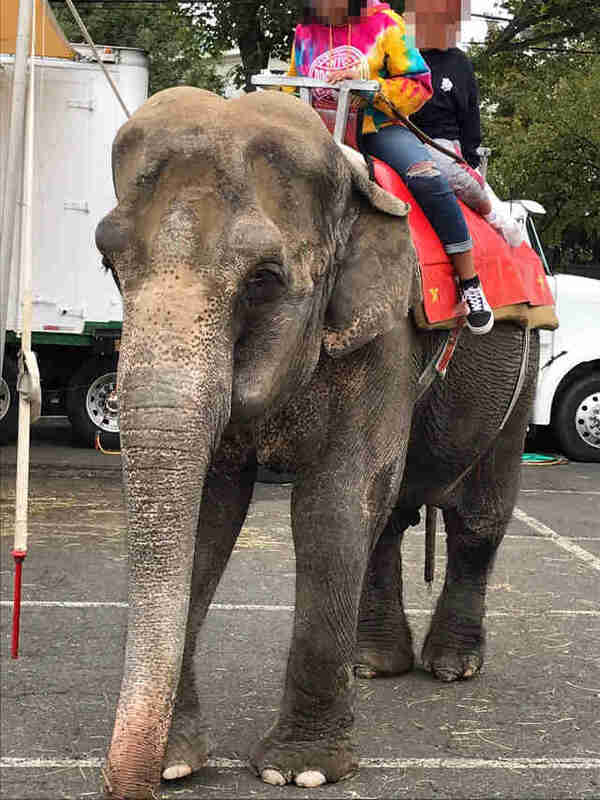 Fern was surprised to see Minnie giving rides, as she has a history of attacking her handlers, according to the Nonhuman Rights Project. If she’d displayed any of this behavior at the fair, she could have seriously injured members of the public. Fern also had safety concerns when it came to Beulah. But what concerned Fern the most was Minnie’s health — she didn’t look well enough to be giving rides to the public, or being used for any kind of entertainment. 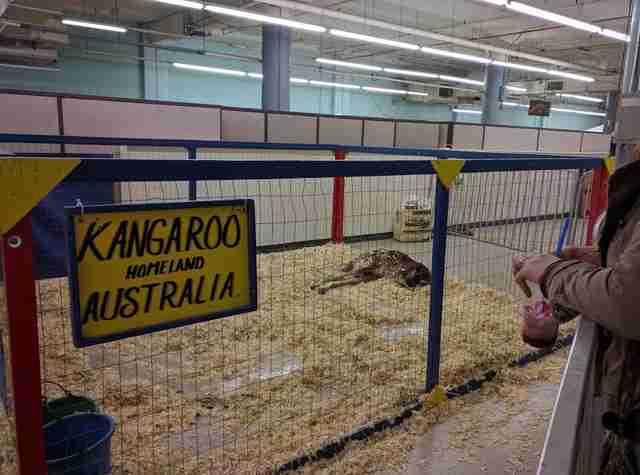 Minnie and Beulah weren’t the only ones being mistreated at the Big E. Someone filmed a zoo employee mistreating a 12-year-old camel named Lurch, who was also rented out from Commerford Zoo. Not surprisingly, Commerford Zoo has been issued with more than 50 violations from the USDA, according to the Nonhuman Rights Project. For instance, they’ve received citations for not having an employee present while the pubic makes contact with the elephants, failing to give the elephants adequate veterinary care and for keeping their elephants in dirty, unsanitary enclosures. Yet none of these violations have forced the zoo to relinquish control or use of its elephants or other animals, Fern explained. “They merely had to pay a fine, and no longer engage in the violative act,” Fern said. The Commerford Zoo did not respond to The Dodo's request for comment on any of these issues. 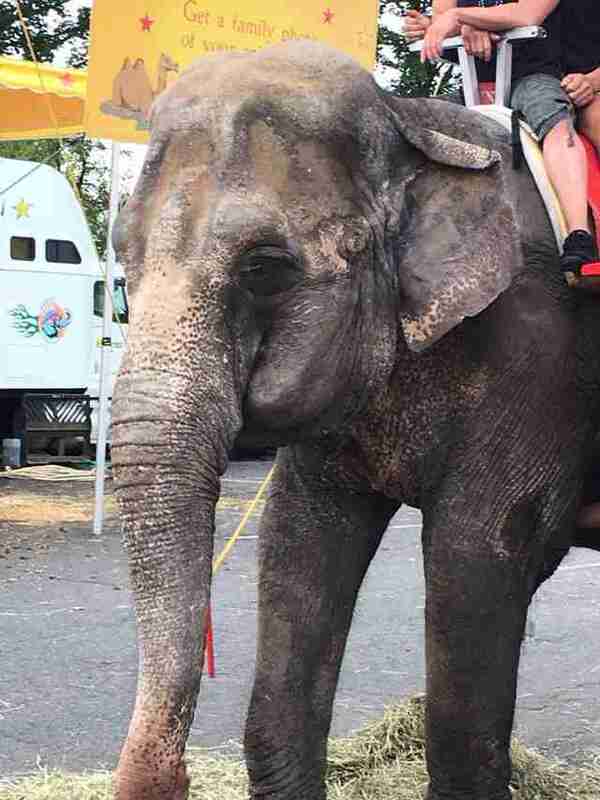 The Nonhuman Rights Project will continue to campaign on the elephants’ behalf, Fern said. The public can also do their part by documenting any instances in which Minnie, Beulah or Karen — or any other animals — are being exploited. To help Minnie and Beulah, you can make a donation to the Nonhuman Rights Project.